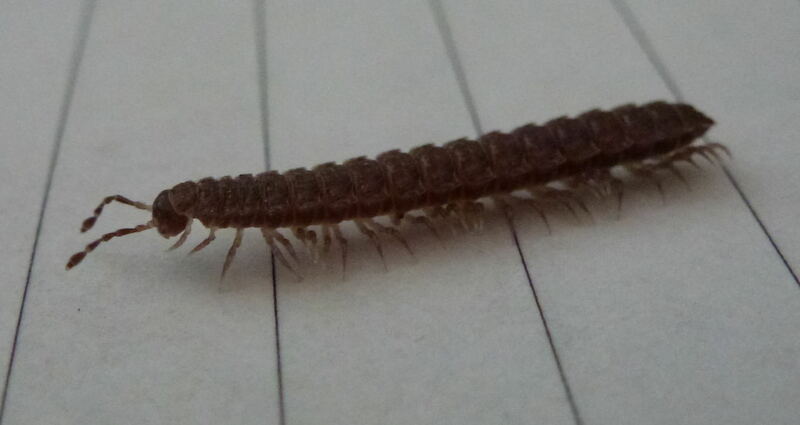 This is a picture of a flat-backed millipede crawling across a sheet of 1cm lined writing paper. We discovered him clinging to the side of the EverythingNotHuman cat who was returning home after a good roll around in the undergrowth. 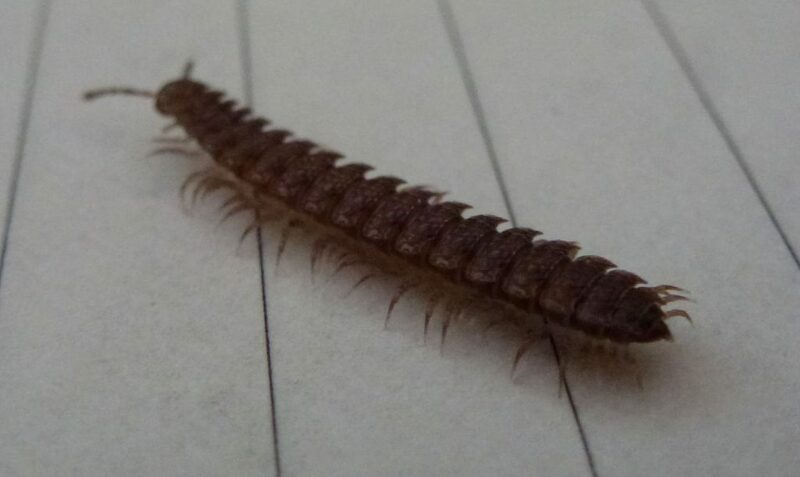 A flat backed millipede…and before you ask, we’ve counted them for you, he/she’s got 62 legs. On first look you may think it doesn’t have a particularly flat back and, to be fair, you’d be right. However, compared to its close relative the round-backed millipede it does, hence the name. Unlike the round-backed millipede the flat-backed millipede has side extensions to its cylindrical body segments giving it a more flattened appearance. Flat-backed millipedes are often mistaken for centipedes which is understandable as they do look alike, there are however several key differences that set millipedes and centipedes apart. Millipedes have two pairs of legs per body segment whereas centipedes have only one. Centipedes are generally carnivorous chasing their prey and injecting them with venom before consuming them whereas millipedes like our friend here are detritivores, they feed on decaying matter such as leaf litter. In fact millipedes are friends of the soil helping to break down decaying matter and playing an important role in the natural cycles of soil. The ‘milli’ part of the name suggests they have a thousand legs but millipedes actually have much less, usually between 40 and 400 depending on the species, ours looks to have around 62. They grow more legs as they get older and develop additional body segments. Based on this you can apparently age a millipede by the number of legs it has but we’re not going to attempt it. 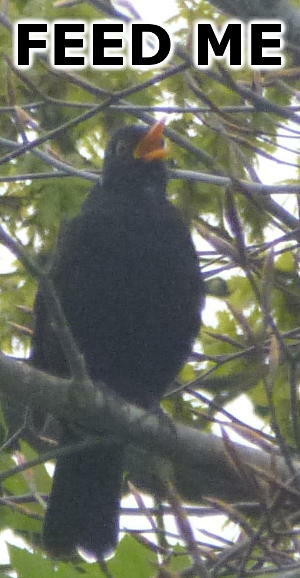 This one looks in his/her prime though. The flat backed millipede may look like a centipede but it’s altogether more friendly. They have no eyes…apparently, we had a close look at this one and couldn’t see any, to be fair, if you’re mooching about in the dark under a pile of leaf litter then you probably don’t need them. When threatened they can apparently secrete cyanide to deter potential predators, we didn’t witness this, our millipede used the tried and tested defensive move of curling up and also freezing and holding on tight when pestered. You’ll be glad to hear that after the trauma of riding a cat and being photographed at point blank range he’s now back in the leaf litter of the EverythingNotHuman garden.